The Institute of European, Russian and Eurasian Studies (EURUS) brings together expertise on Europe and European integration, Central and Southeast Europe, Russia, the Caucasus and Central Asia. EURUS graduate students research interdisciplinary subjects ranging to NGO activity in the European Union to the history of Chinese-Russian trade relations. 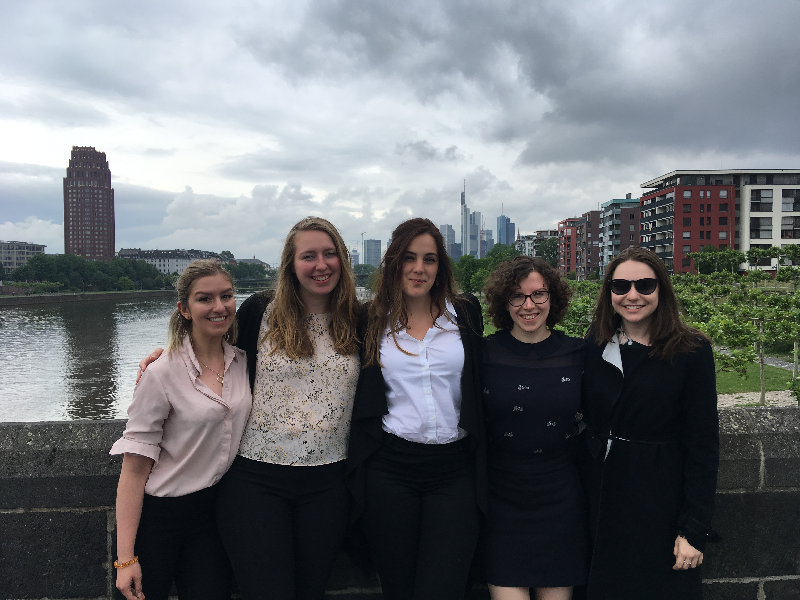 A large portion of EURUS MA students travel each summer to research, take summer language programs, and partake in internships at various organizations. EURUS students have been traveling abroad for their degrees since the beginning of our program. Our students spearhead their summer experiences and spend months applying and planning how they will use their precious summer semester months. These travel plans span from language training programs, partaking in internships, taking courses at partner universities and to conducting research for their master’s research papers and thesis. In 2018 EURUS students went abroad to: Belgium, Russia, Germany, Sweden, Kazakhstan, Israel, China, Ukraine, Poland and more! Students accepted into programs abroad are required to pay program fees to the organizations and to cover the costs of travel and accommodations. Programs range in cost from $1000 for language training programs, to over $3,500 for 3 month internships at EU institutions. Funds from this campaign will make summer abroad opportunities more financially accessible to students who otherwise may not have been able to afford the cost of travel-related expenses and accommodations. Summer months between graduate school semesters is filled with possibility for students to explore their interests for gaining valuable knowledge to better their degree. This fund will aid students in traveling abroad Summer 2019. Many students are unable to fund their trips on their own and will benefit from the help.